1. Make the speech speak for itself. Just like a book, it is the content that sells. Nobody ever reads a book which has a great cover but a very poor plot. The same principle will apply to your speech. Make sure that the material is compelling enough to immediately grasp the listener’s attention. 2. Use visual aids to help you in the presentation. Another way to catch the audience’s attention when speaking in public is by showing eye-catching visuals. You may use videos, photos and other presentation materials to help you further explain the topic. People line up the at the theaters to see movies, because they are entertaining. Make sure to inject enough of the same ‘entertainment factor’ when delivering your speech. 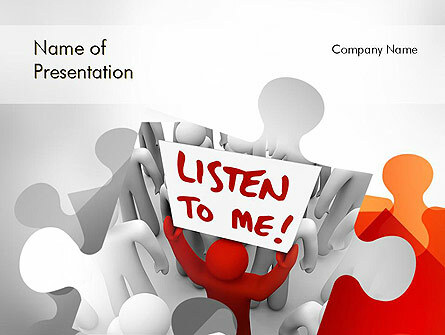 Delivering a speech on an ordinary topic can be spiced up by lacing your speech with attention-grabbing visuals. However, becareful not to over do the visuals and lose your message. 3. Use the power of your voice. If you speak in a monotonous voice, your speech will sound boring. Do not let the audience fall asleep on you when they hear your voice. Vary the pitch, tone and loudness of your voice. Always use the active voice in your sentences and always speak in a conversational manner. Add some humor to your presentation if you want your audience to stay with you. People love to laugh and enjoy appropriate humor in any situation. You don’t have to tell a joke to be funny. You can tell a humorous story or anecdote that will help reinforce your points. However, make sure the story fits with the content of your message. By following these four simple tips, you are sure to grab your audience’s attention once you are up there delivering your presentation.